Known for his irresistible dishes and volatile public persona, Gordon Ramsay is London ’s most talked-about chef, an international sensation whose eponymous restaurant boasts three coveted Michelin stars. Now, Gordon is becoming a household name across the Atlantic, with the U.S. premiere of his hit reality show, Hell’s Kitchen. 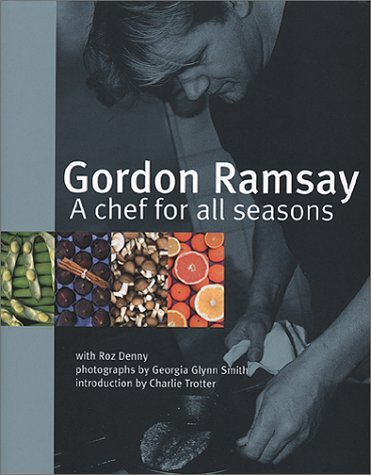 In this new paperback edition of his seminal cookbook A Chef for All Seasons, he shares 100 recipes that embody his commitment to working with ingredients in their prime. Each chapter is dedicated to one of the four seasons, with detailed descriptions of key ingredients and recipes that utilize them in delicious, often unexpected combinations. Accompanied by lush color photography, Gordon’s expert culinary advice and seasonal musings will enlighten and seduce the senses year round.